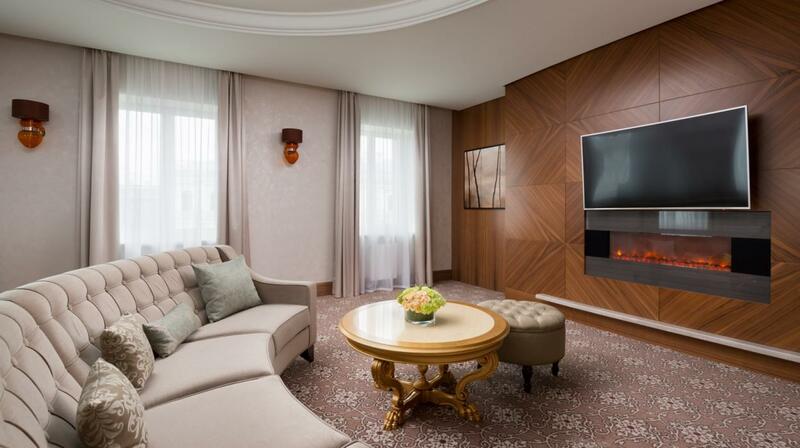 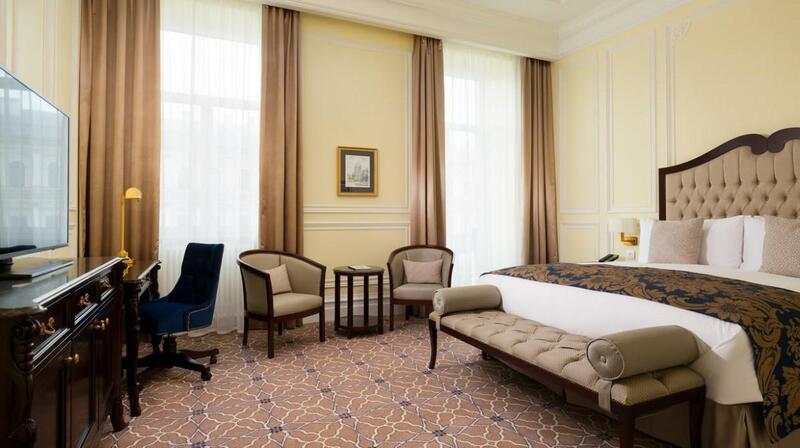 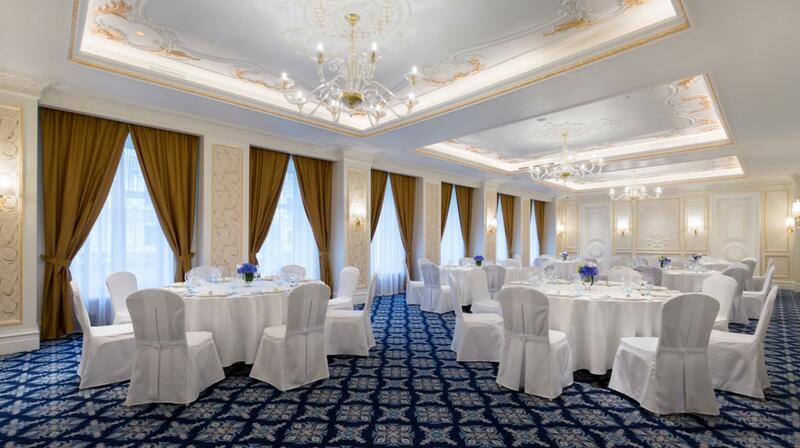 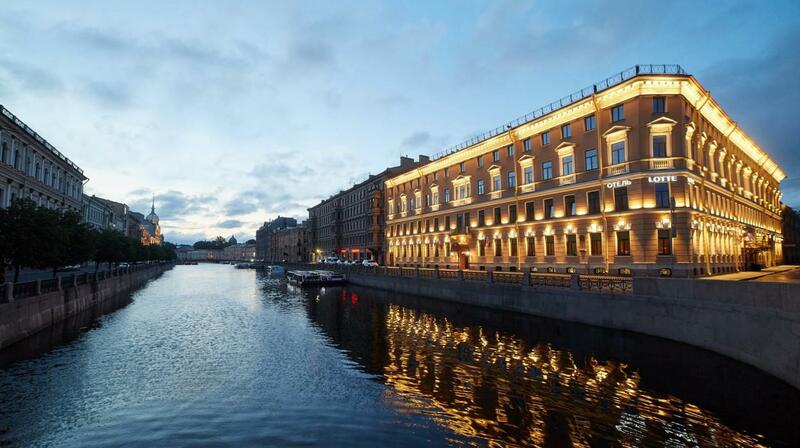 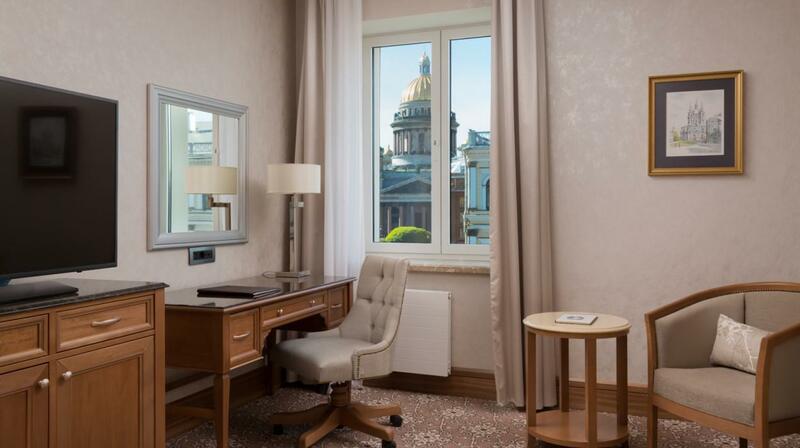 Located in a historic mansion on Moyka River Embenkment, Lotte Hotel St. Petersburg combines classic interiors and modern technology. 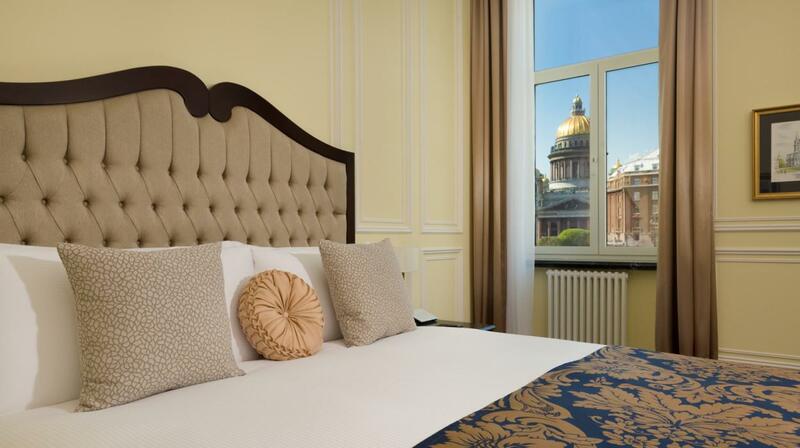 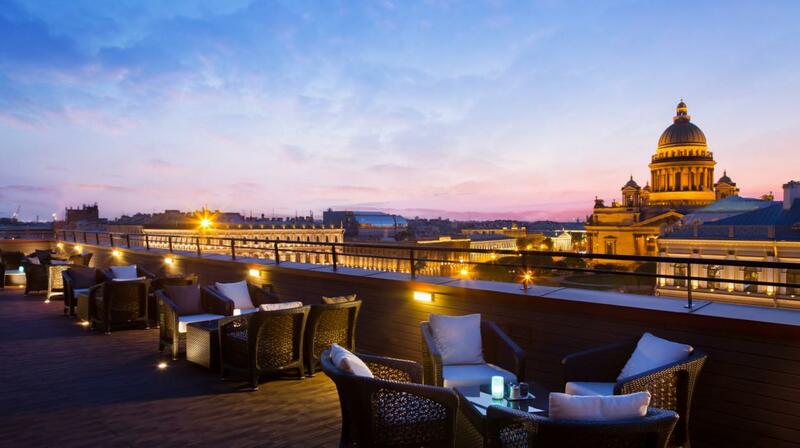 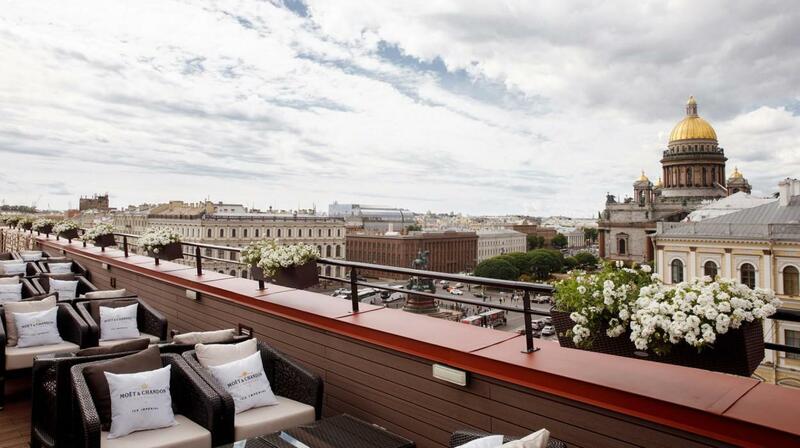 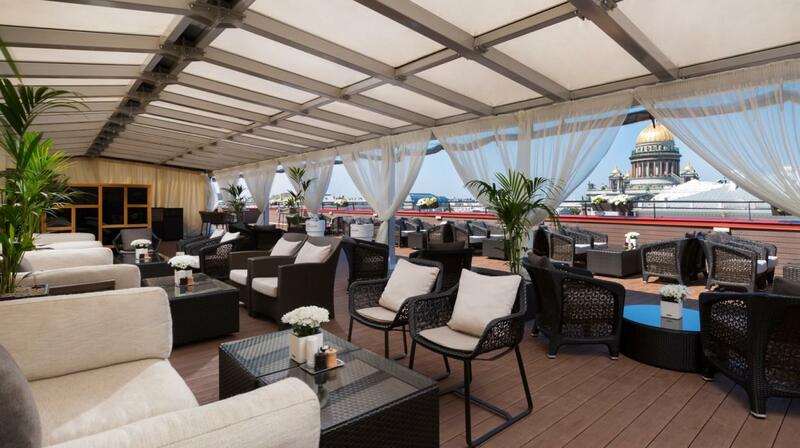 Place Square is within a 15-minute walk from this 5-star hotel and guests can enjoy splendid views of St Isaac's Cathedral from L Terrasa rooftop bar. 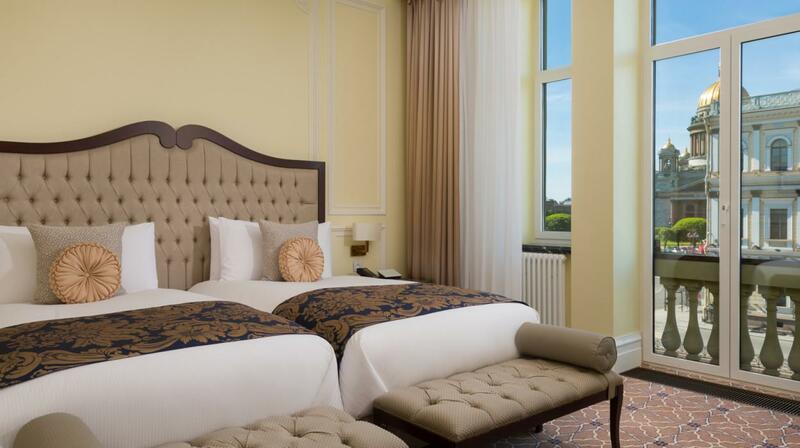 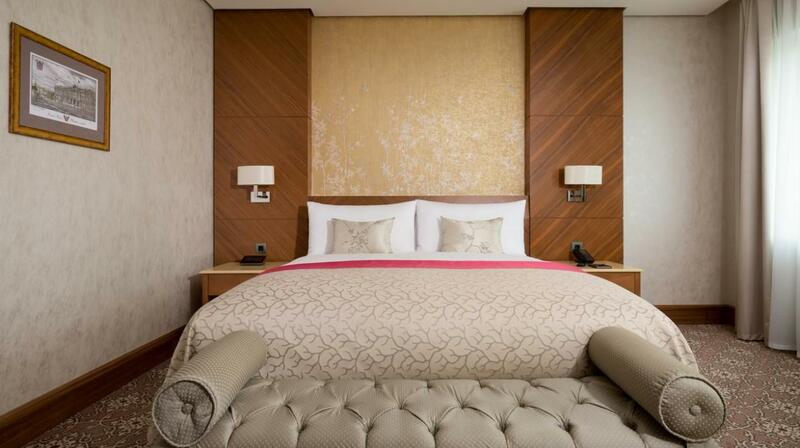 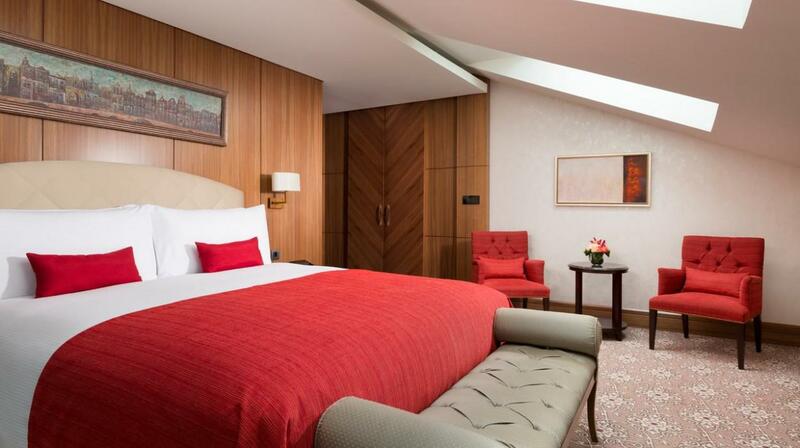 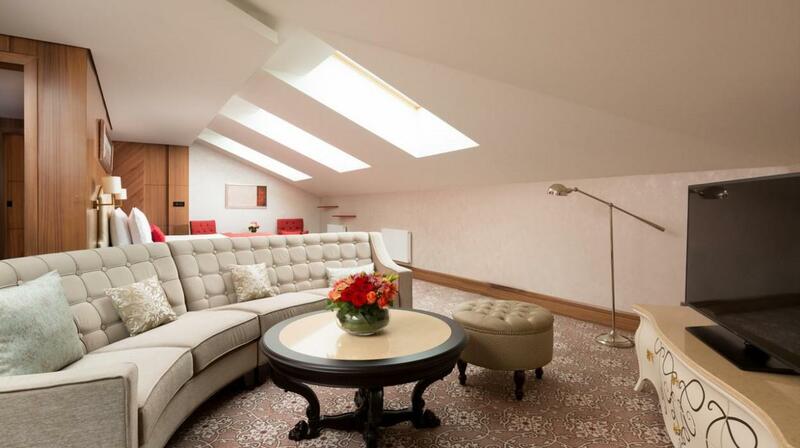 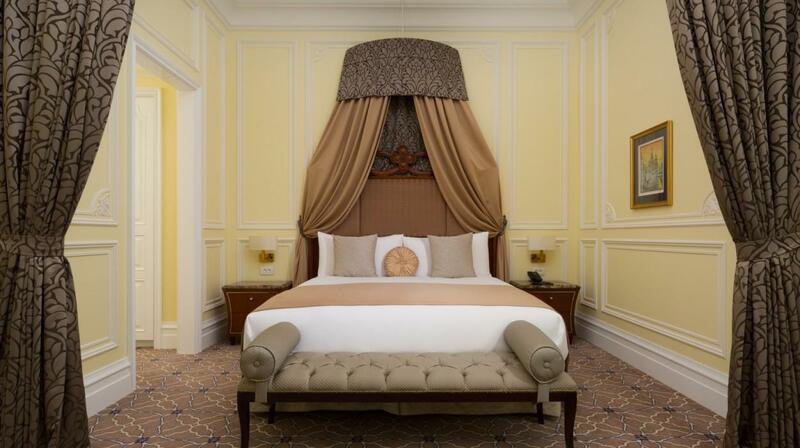 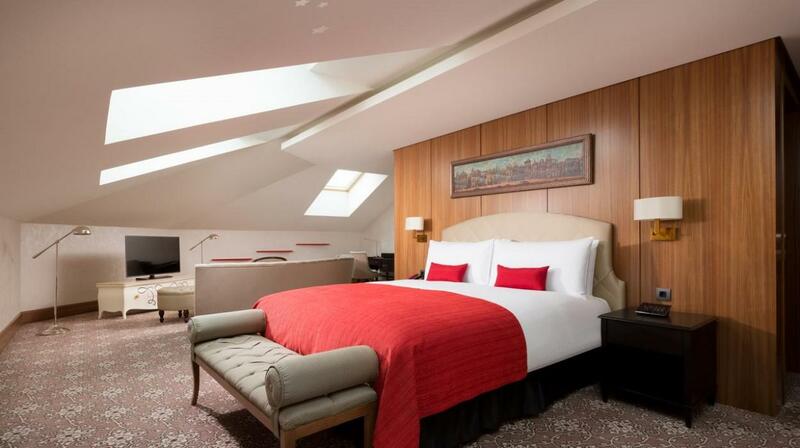 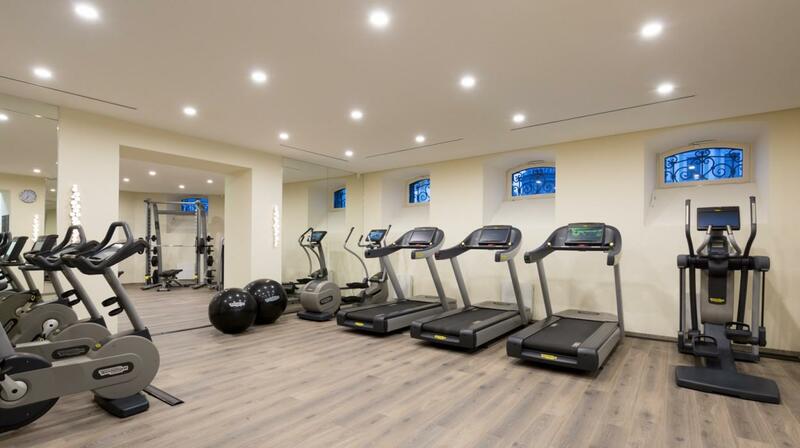 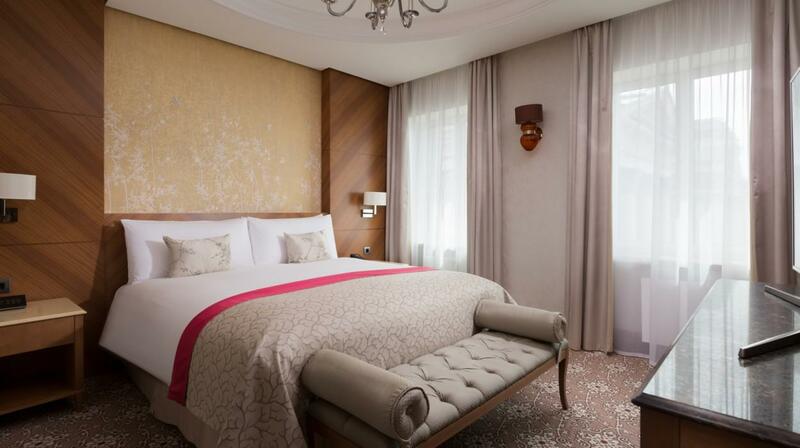 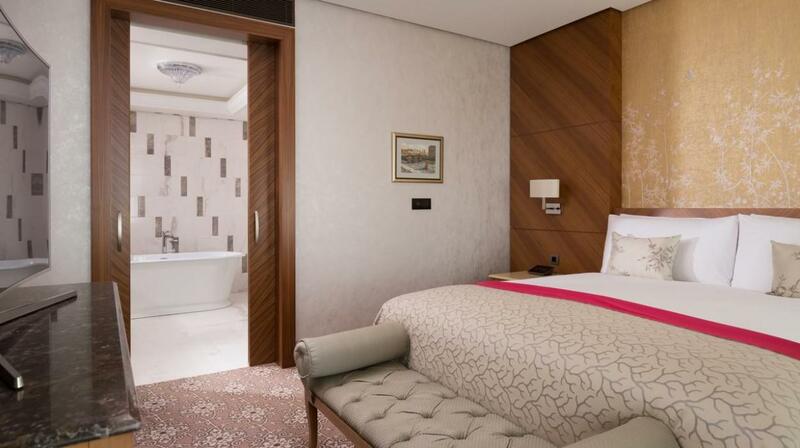 Every room offers free WiFi and digital panels for air conditioning, heat and light control. 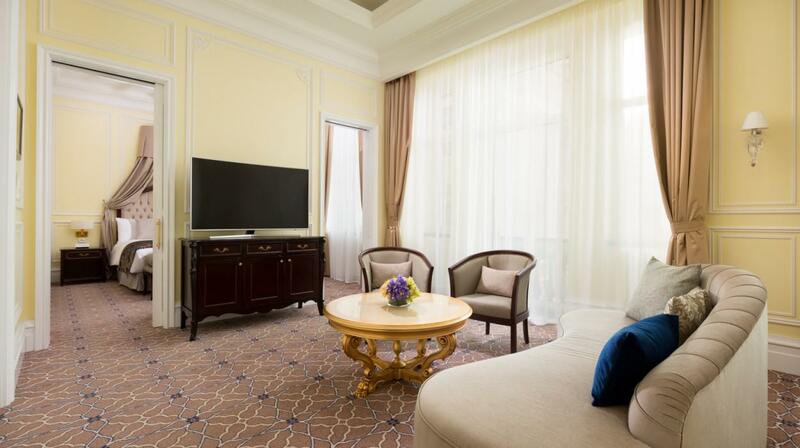 Comforts such as coffee maker, stationary and umbrella are provided. 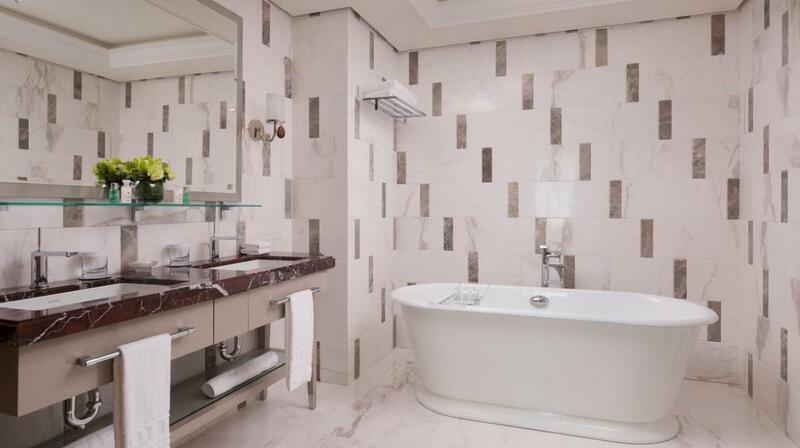 The bathrooms feature Korean bidet toilets and soft bathrobes and slippers. 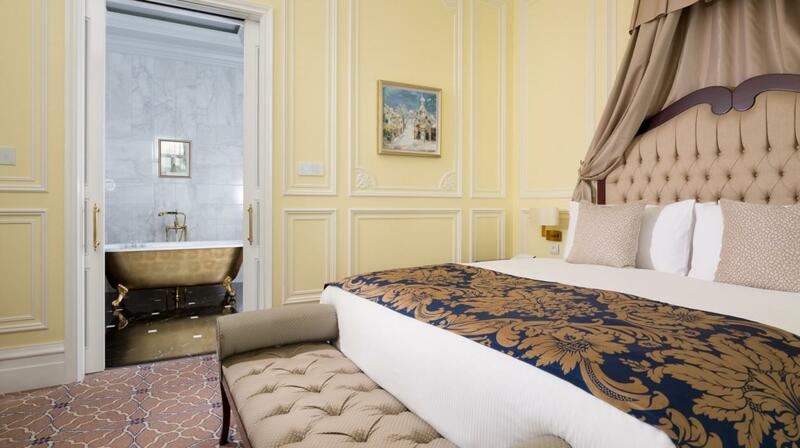 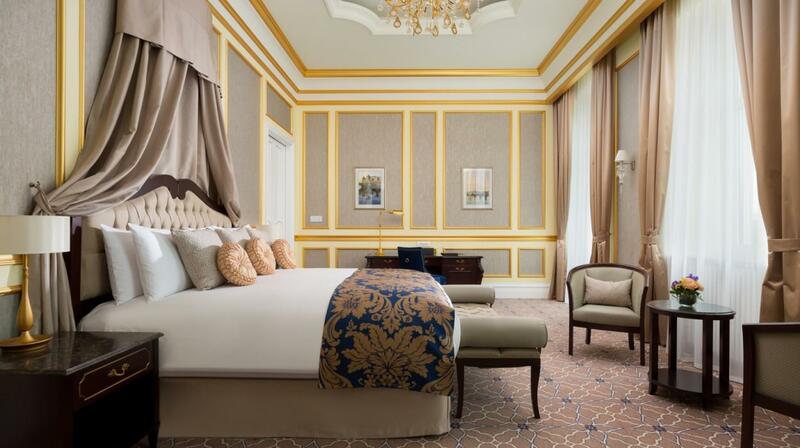 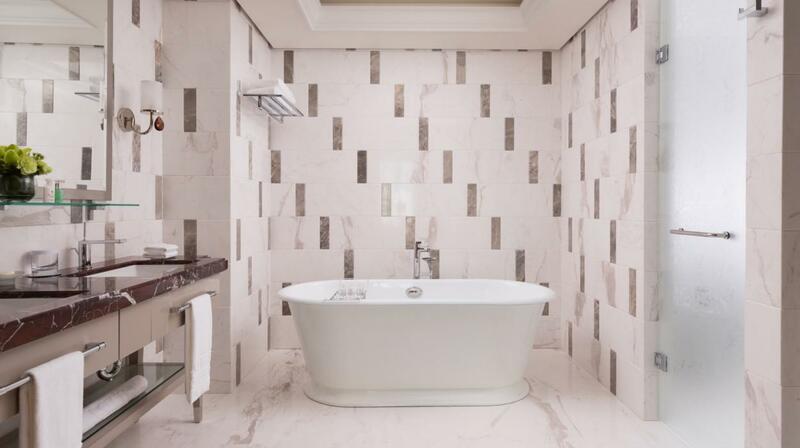 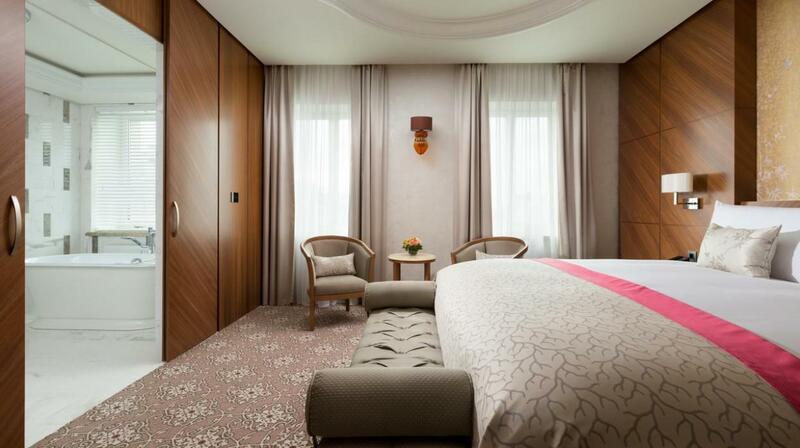 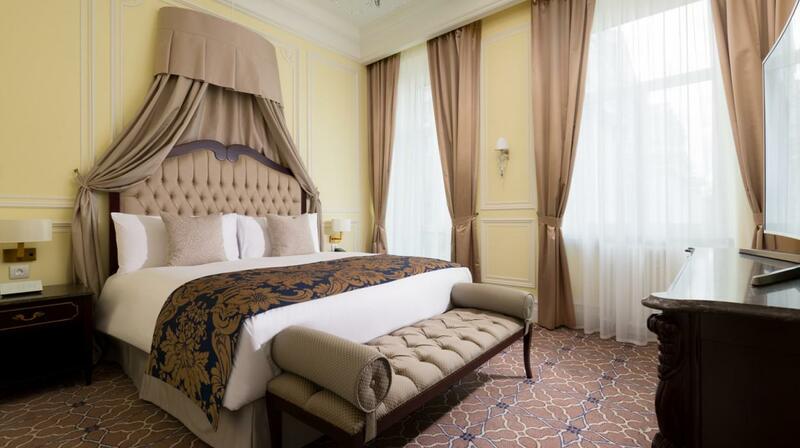 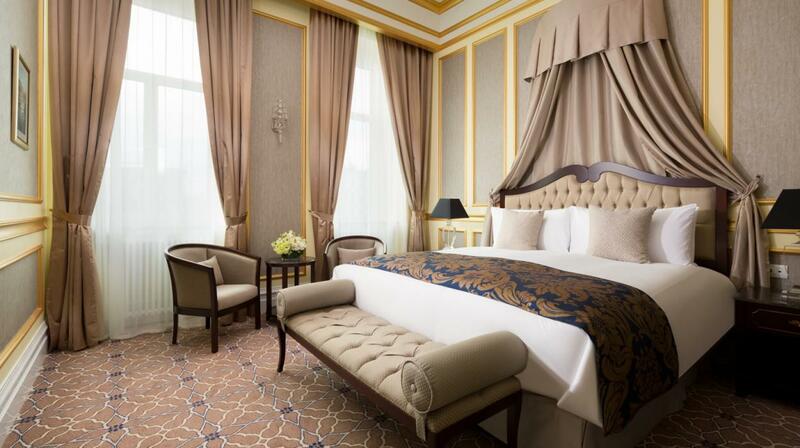 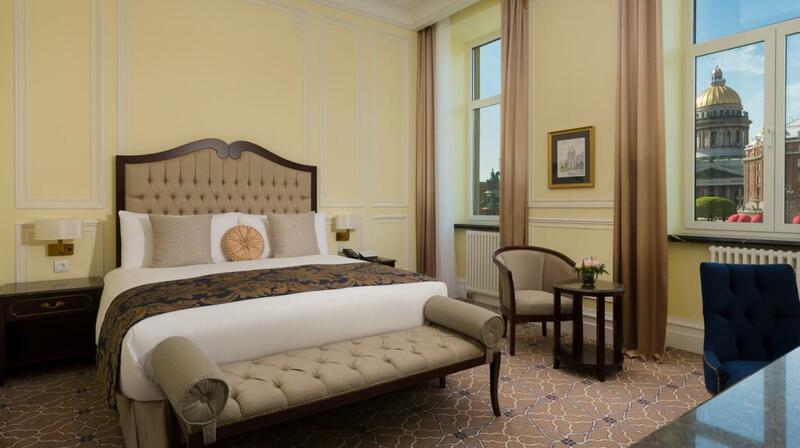 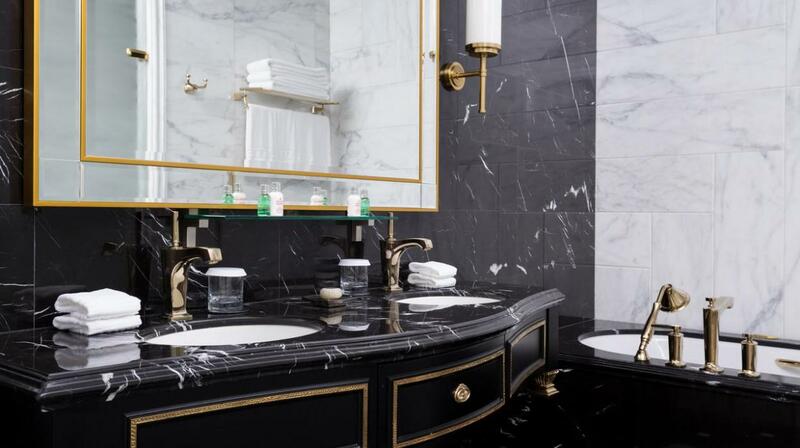 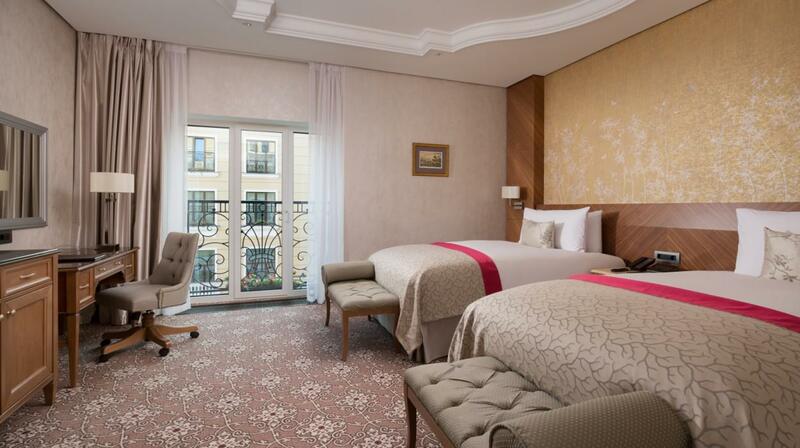 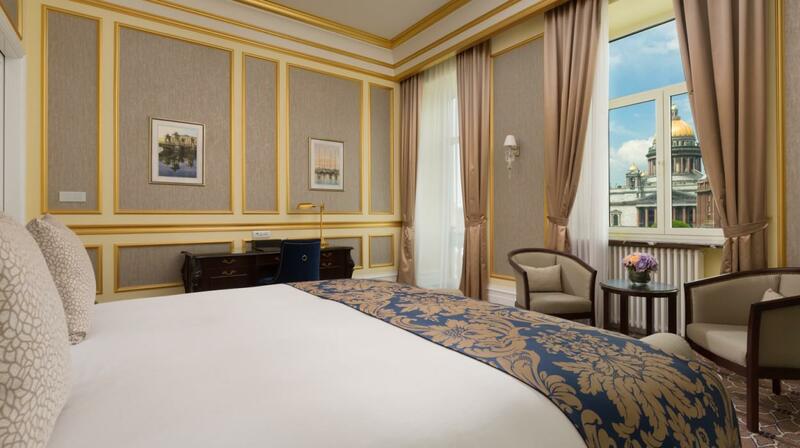 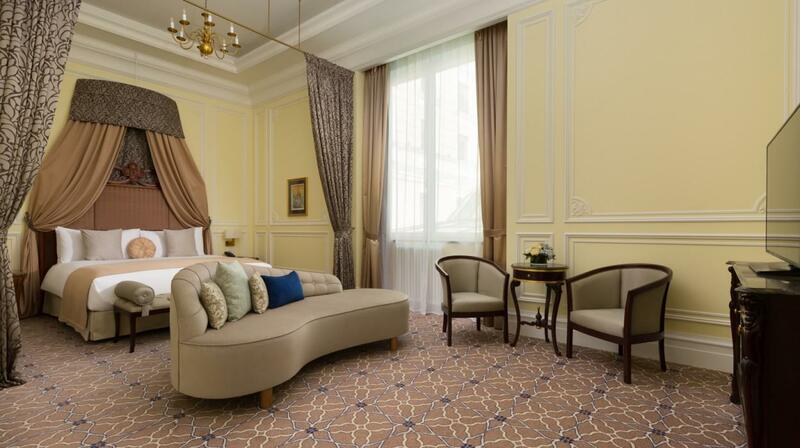 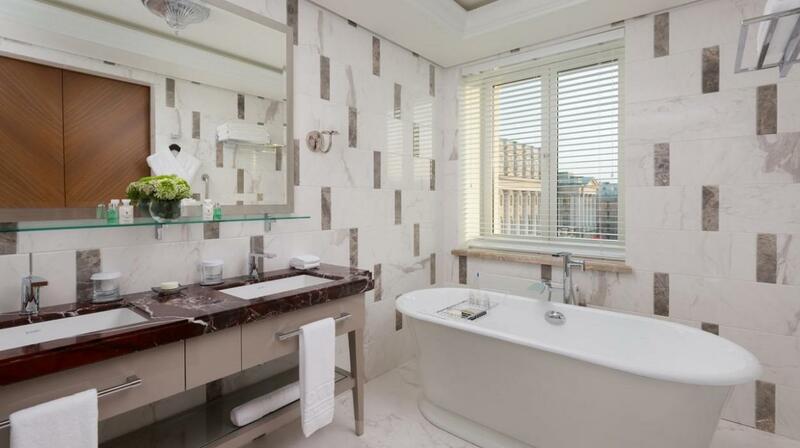 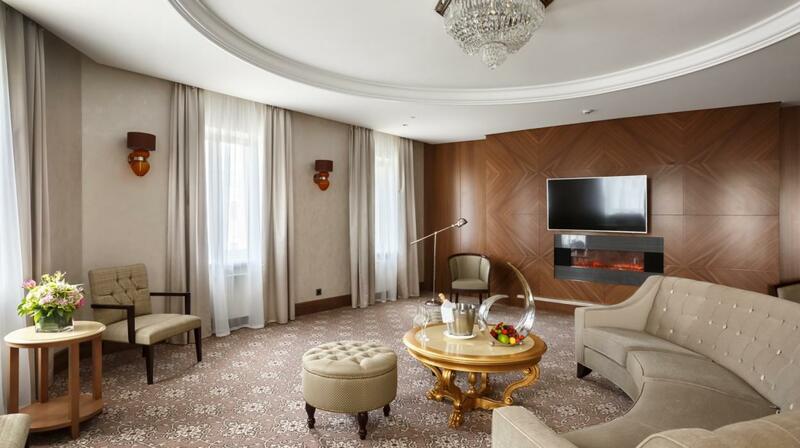 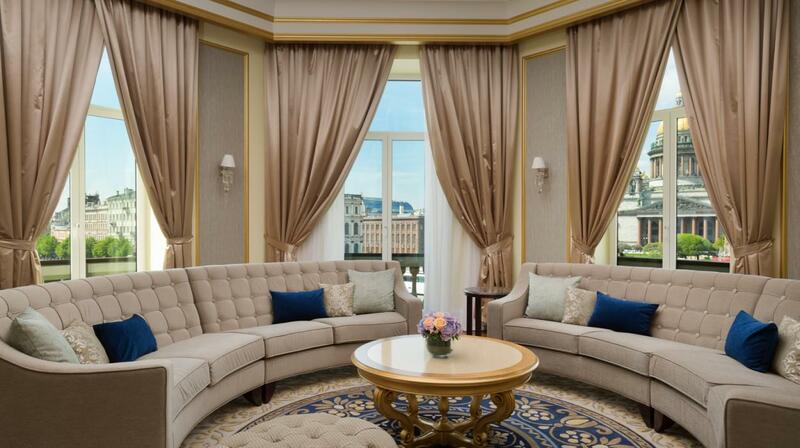 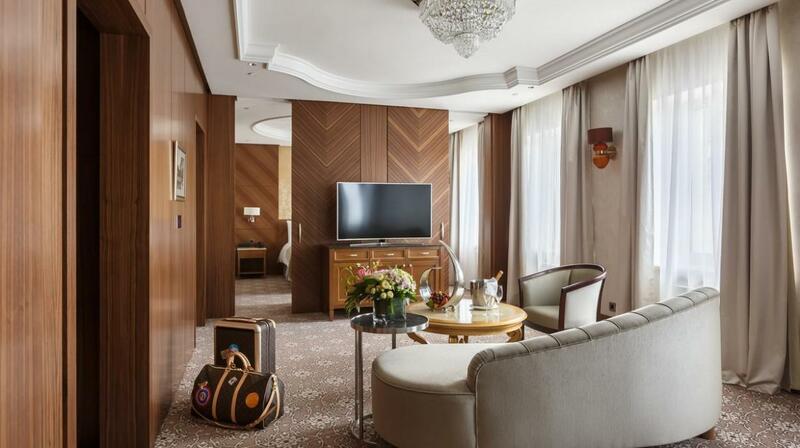 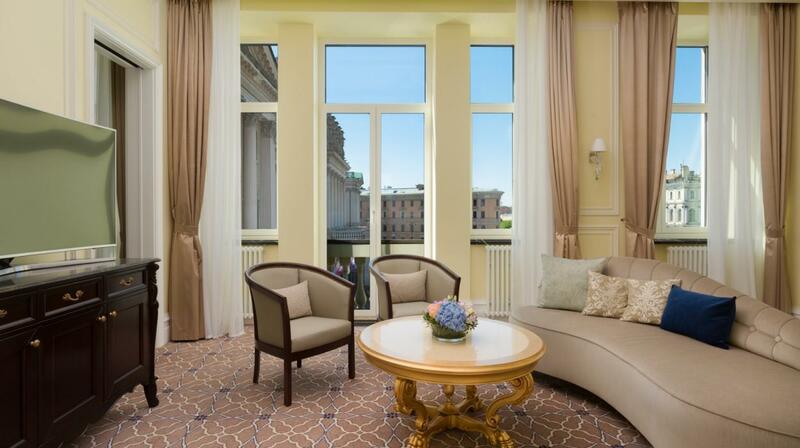 Suites at Lotte St. Petersburg boast spectacular views and elegant marble bathrooms fit with Bulgari toiletries. 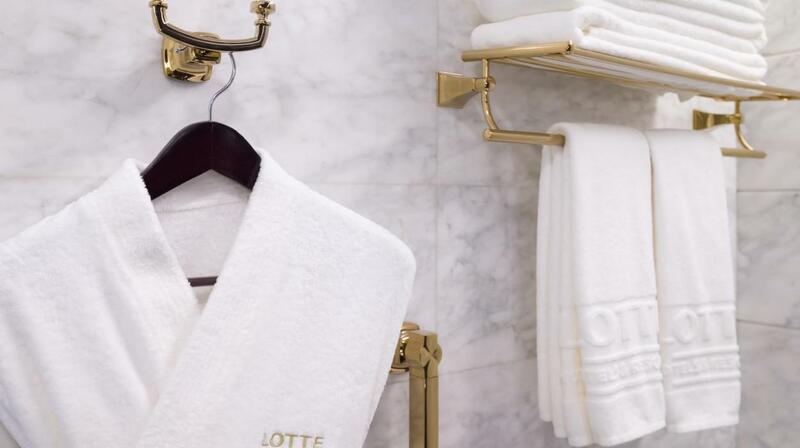 The Lotte offers its guests turndown service. 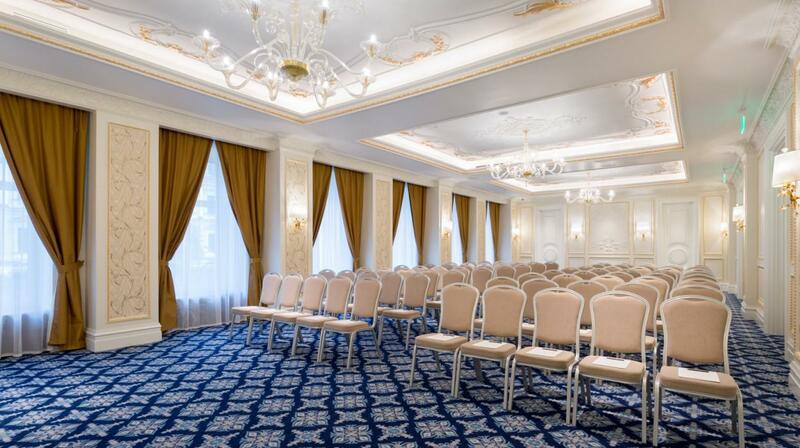 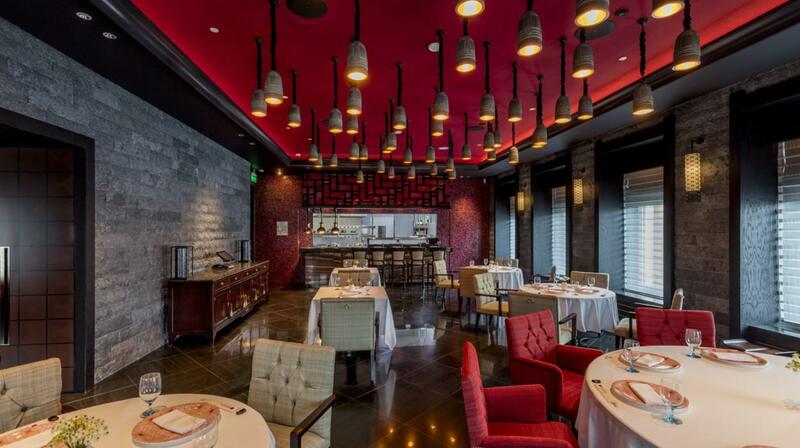 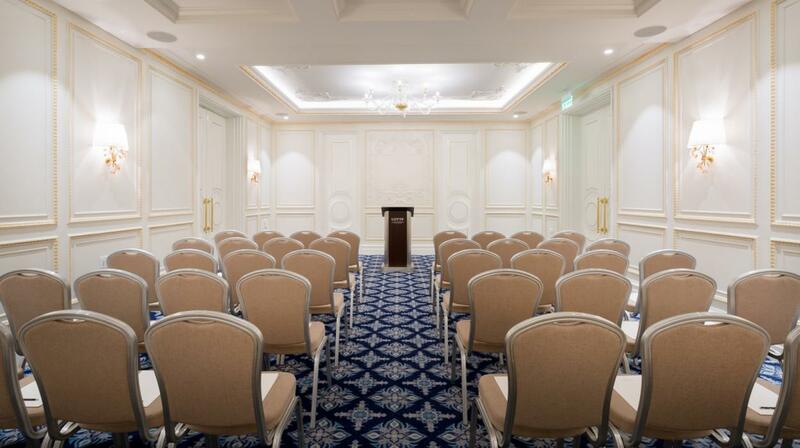 The property offers 2 equipped banquet/meeting halls. 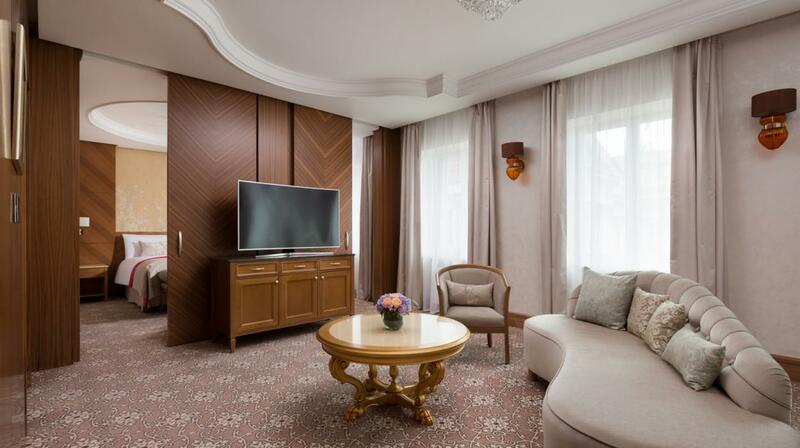 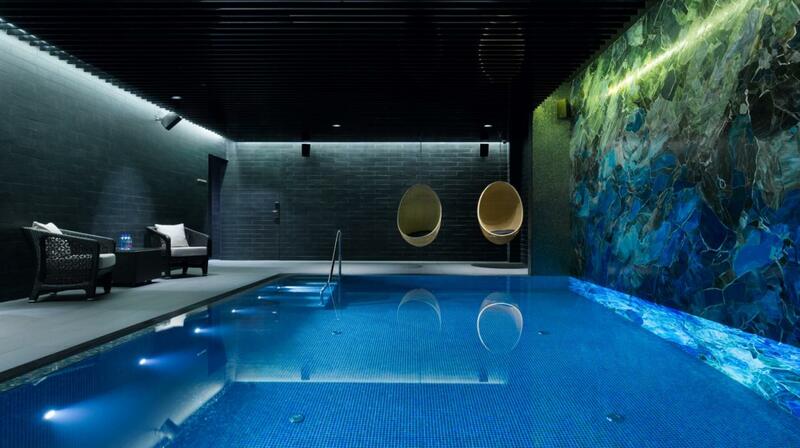 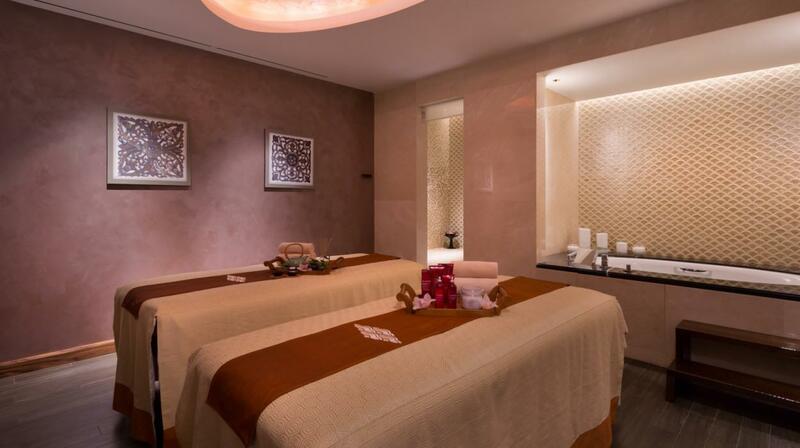 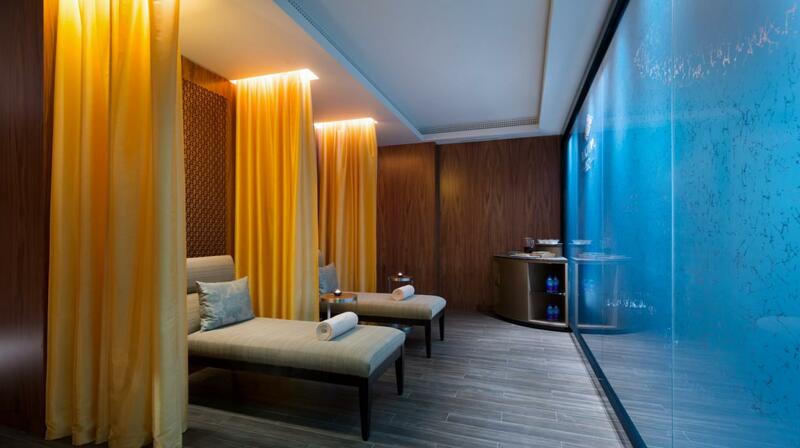 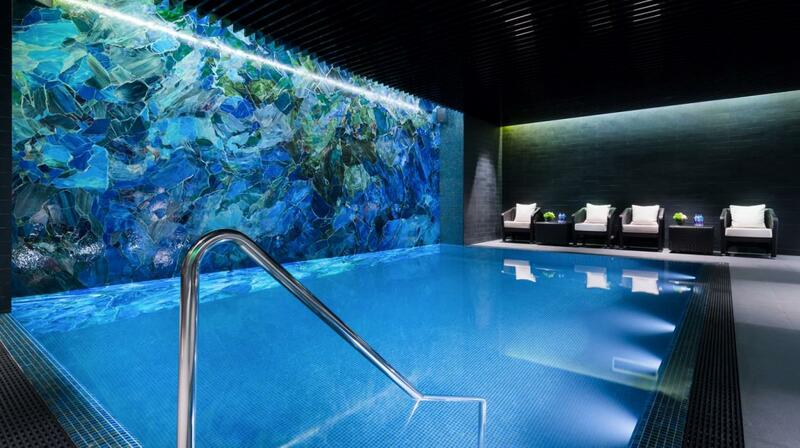 Guests also benefit from complimentary access to Lotte Hotel St. Petersburg's modern fitness centre and Mandara Spa with a relaxation room, sauna and plunge pool. 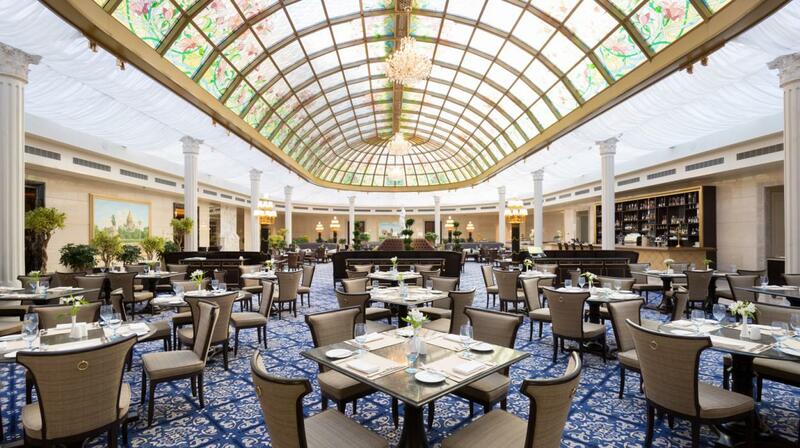 The Lounge restaurant serves gourmet buffet breakfasts, while MEGUmi restaurant offers Modern Japanese cuisine prepared from Japanese produce. 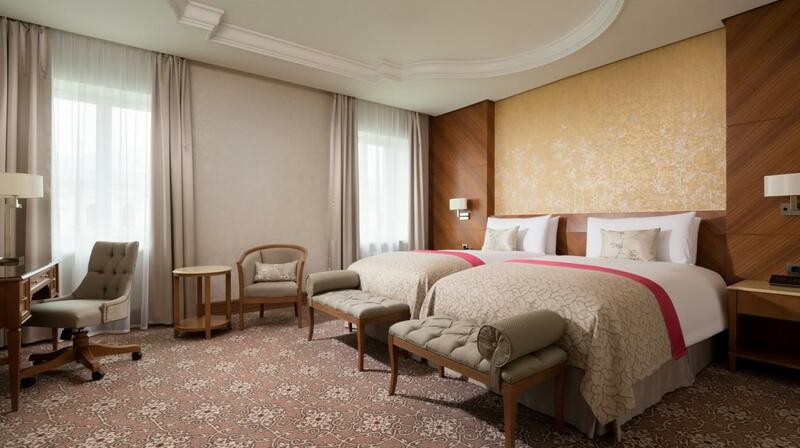 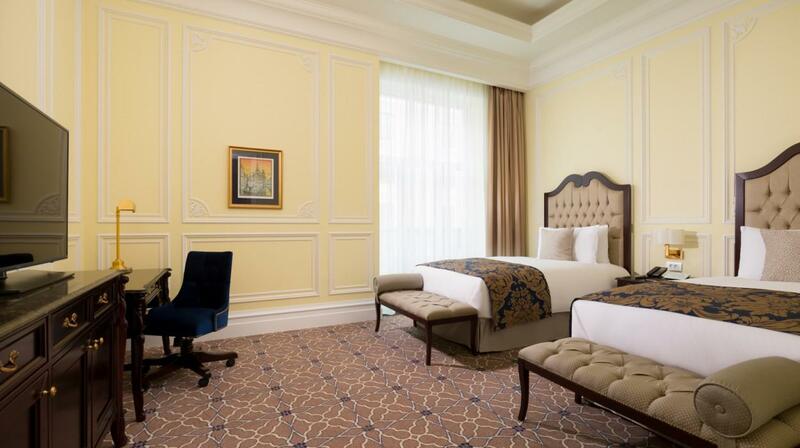 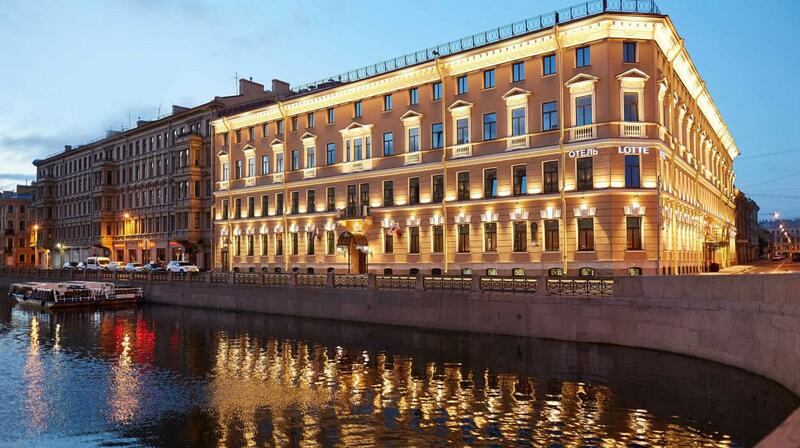 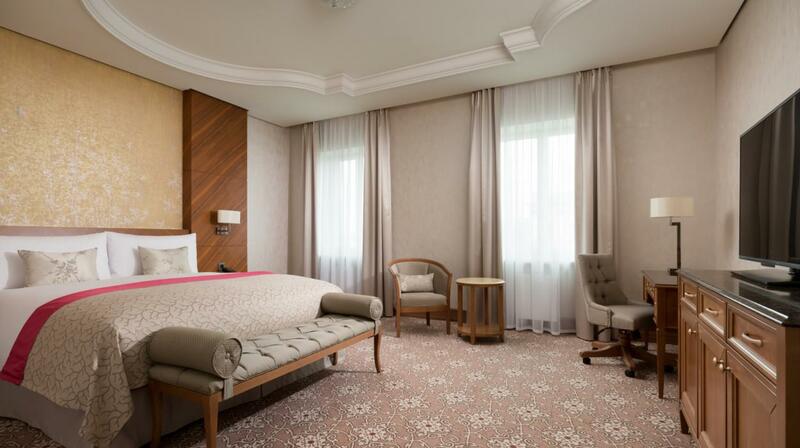 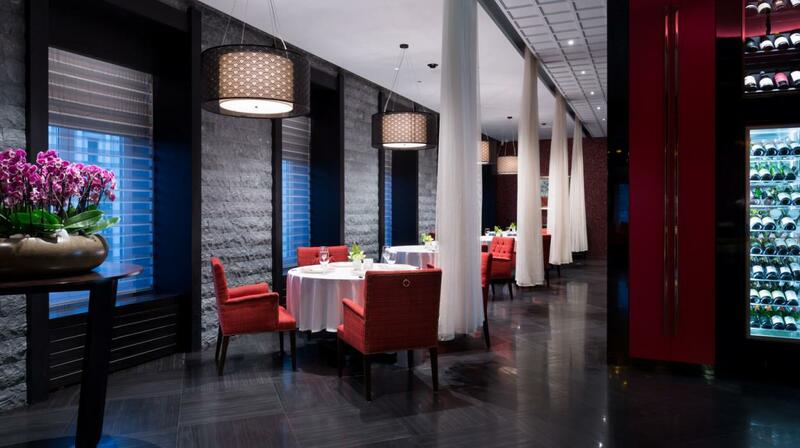 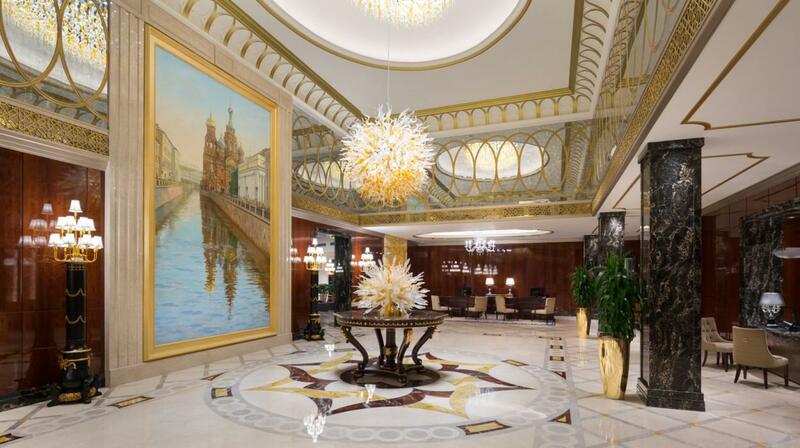 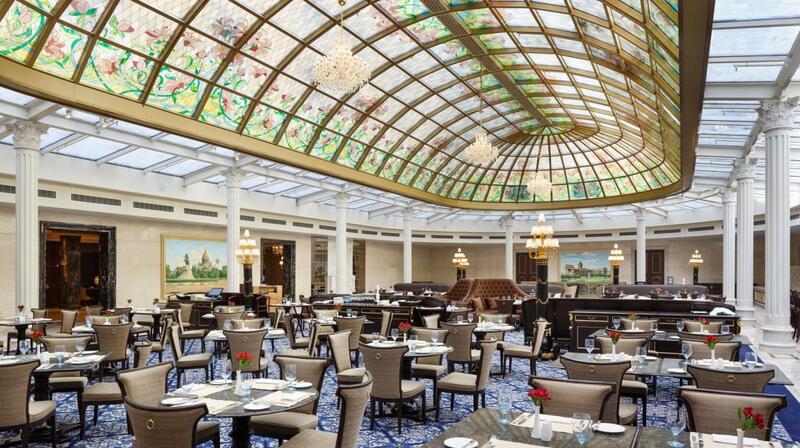 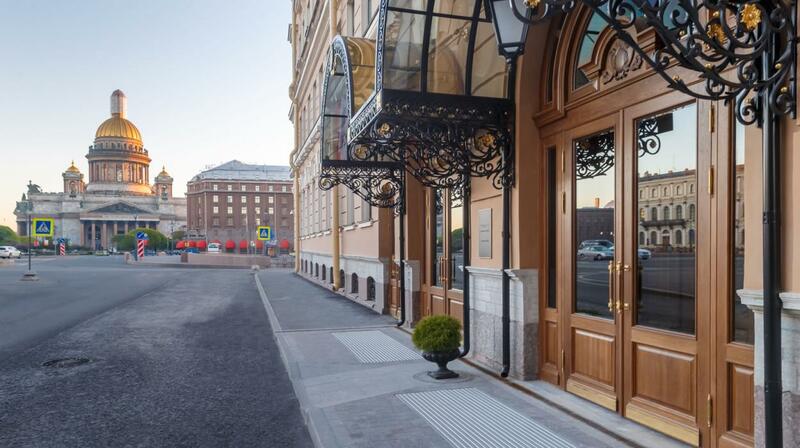 Lotte Hotel St. Petersburg features underground parking and airport shuttle service available at surcharge. It takes a 30-minute drive to reach Pulkovo International Airport from the hotel and 20 minutes to arrive to Moskovsky Train Station. 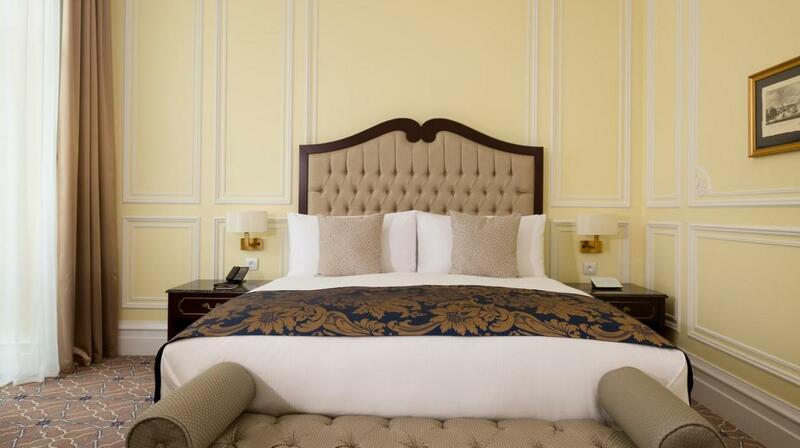 Extra beds Children: All children equal or under 12 years is charged € 20.93 per person per night when using extra beds.